How You Can Take That Home From Drab to Fab! If you’ve been house shopping, there’s at least one point in the searching for the home phase that you think, “There is nothing out there I would buy!” or “I’ll never be able to afford something nice and new”. 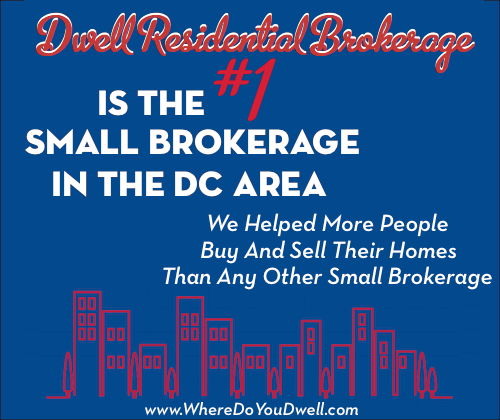 Truth is, a lot of buyers in the DC area have a hard time checking everything off their must-have list. Here’s the secret to having it all when it comes to house buying: If a home is in the price range you want and the location you want, you can make it look however you want. That’s right – every home starts with four walls. The differences are all in what the owners, current or past, have done to them. It’s definitely hard to imagine a home’s potential at first glance. And a big remodel costs a fortune in both time and money. 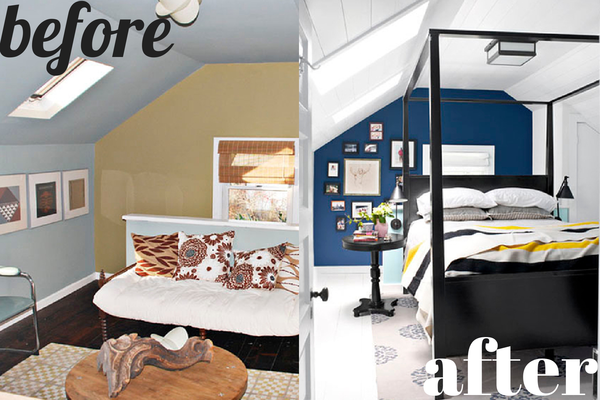 So, check out our simple, inexpensive ways to transform an “okay” house into a home you love! Painting the wall and cabinets, adding new handles and light fixtures completely revamped this dreary brown kitchen without breaking the bank. You can do this too! Fix the little things for big impact. There are plenty of quick ways to make a home livable and lovable on a tight budget. Don’t worry if it seems like an entire room is outdated or boring, especially the bathroom and kitchen. Sometimes all you need to do is replace the cabinet hardware or lighting fixtures to immediately improve the appearance. For the bathroom, you can easily change the toilet seat or a discolored bathroom floor with new easy-to-install vinyl tiles. Regrouting your shower and tub will also get rid of that dingy look. In the kitchen, try replacing the faucet set, adding new cabinet handles and updating old appliances. Refacing or simply painting existing cabinets won’t be as pricey as buying new ones, but will definitely update the look of your kitchen. Replace vinyl blinds with wooden ones or switch out old curtains. Or let in more natural light and remove curtains completely in the living and dining rooms. Install new light switch and electrical outlet covers. Old ones tend to yellow over time and new ones cost about $1. Chang doorknobs, handles, and hinges. This takes almost no time, but these small updates make a huge impact. Don’t go it alone! There are tons of Do-It-Yourself websites and television channels that will walk you through each step, so you can make it look professional without the price tag. Just by adding an accent wall, removing those dingy drapes and putting up a curtain to separate the room, this empty space was turned into a functional guest room/office! Planning your improvements ahead of time will not only make it easier, but seeing it laid out in front of you will also help you realize how much you can do quickly, without a lot of work. You will probably need to do one room at a time, so make a master plan and stick to it so you know what can afford now and what you’ll be tackling next. It helps you keep the big picture in mind while making it cohesive and complete. Prioritize certain improvements based on what room or area you use most. Figure out how much you can spend. Remaining financially responsible is still important and it’s possible to spiff up a lot without spending a fortune. If you calculate your monthly expenses and decide what you can afford and when, you’ll be able to move through the house, making fixes systematically. You probably won’t be able to tackle your entire home at once and that’s okay. Maybe you break your budget into quarters and concentrate on one room per season. Whatever you decide, stick to it. You’ll see your dream home starting to take shape in no time. 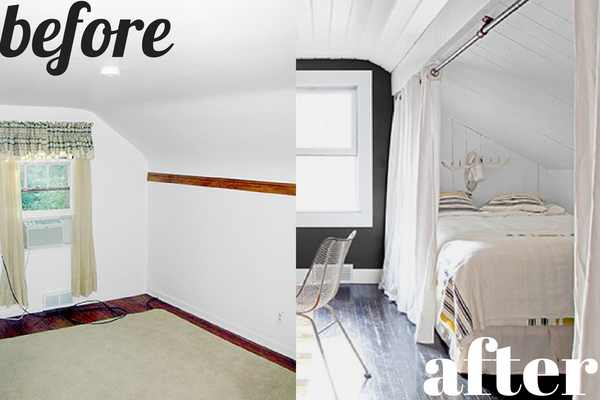 Painting the walls and updating the light fixtures totally updated this attic/bedroom. Look at how much a white floor brightens up the space! Paint is your best friend. Paint will give you the most bang for your buck. New paint makes everything look fresh and bright again. Sometimes all it takes is changing your brown wood trim to white. And if you don’t have the time, patience or money to paint more than one wall? That’s okay! Accent walls are a decorating secret used by most pros. And don’t just stop at walls. You can paint cabinets, mirror frames, doors, etc. And don’t forget the floor or ceiling! 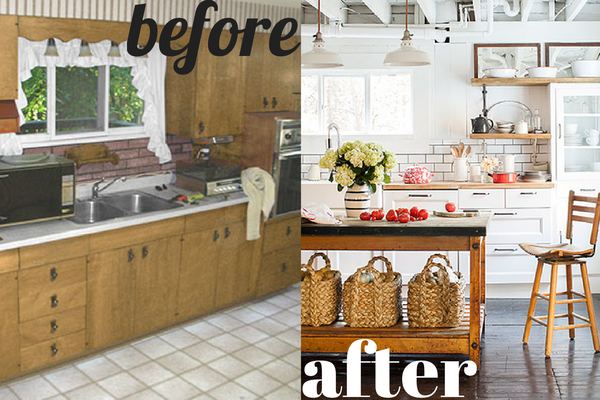 Update the cabinets, paint the walls, redo the tile (it’s easier than you think! ), add some flowers and VOILA! 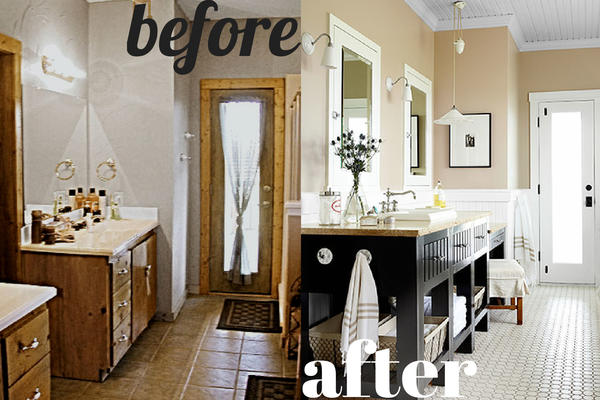 You can do a bathroom makeover this spectacular, too. The home may have old light bulbs, which can cast a dingy yellow glow over the entire place, which can make it feel old or dirty. If you install white, energy efficient light bulbs, it will immediately update the entire atmosphere. You can also purchase spotlights that plug into existing outlets and focus onto certain features like a plant or a piece of art. Also, replacing light fixtures or ceiling fan blades will make a big difference. Your first home probably won’t be your last. These aren’t decisions that you’ll be living with forever, so do your best and don’t let it overwhelm you. You might never feel like things are “perfect”, but there’s almost always a simple solution. These fix-ups are fast and easy. And you can always keep updating along the way. In most cases, all it takes is a little ingenuity and elbow grease to take that home from drab to fab. Celebrate the fact that you’re going to own a home and take time to lovingly turn it into the place you’ve always dreamed of. Beautiful, inviting homes are rarely an accident. Just like it takes patience and planning to purchase the house, the same is required to make it your own. So keep these in mind while searching for houses – sometimes they’re just a few steps away from being exactly what you want!